For the most part, when pulling levels off of the top of the keep, I could stack them in reverse order off to the side. This was also useful for packing and unpacking in a bag for transport–packed in reverse order in the bag meant I could unpack it and stack it in proper order. The ability to assemble and disassemble the tower floor by floor was particularly helpful because the fully assembled tower was not particularly easy to move around as one piece (for instance, when putting it away between sessions, or when needing to adjust where it sat on the game table). 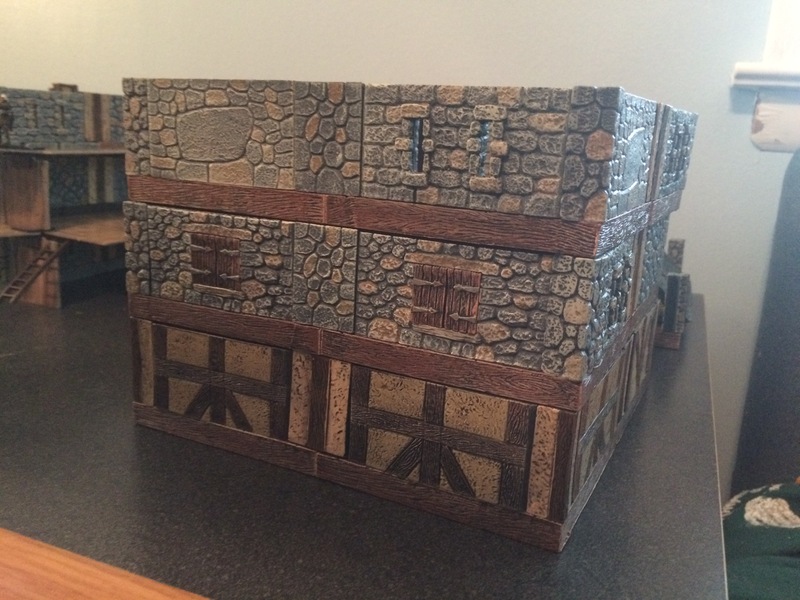 If I had to do again, I would have mounted a piece of cardboard to the bottom floor of the keep to allow me to slide the whole thing on the game table if I needed to make small adjustments.